Single family residence in West Hampstead. 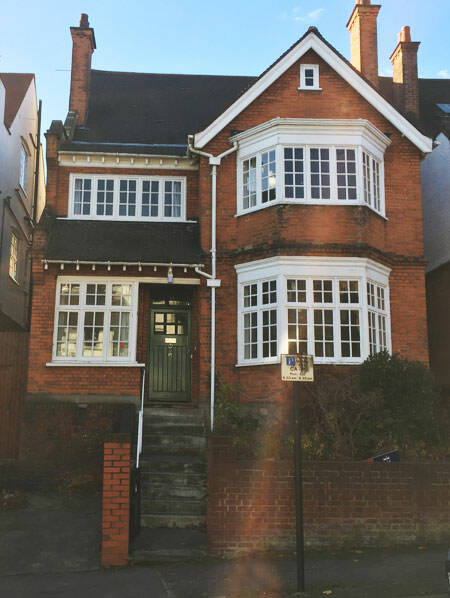 This large detached house in West Hampstead did not have any work done for decades. We undertook a complete refurbishment of inside and outside of the property. At the back, a full-length extension with folding glass doors and large roof-lights was built. The space contains now an open-plan kitchen, dining and living area. The enclosed front reception room provides an additional living space. We were able to retain some of the original features, such as unique decorative ceilings on the ground floor and arched passages in the entrance. The first floor contains, among others, a large master suite with an en-suite bedroom and a dressing room. Additional bedrooms were created on the top floor, where some of the ceilings were taken down and roof-lights installed, in order to increase the height of the rooms and to introduce even more light. Outside, a private patio with garden lounge furniture was built on the lower part of the garden. Wide steps lead to a newly landscaped garden.